SXSW kicks off once again on March 10 in Austin, Texas. The festival has morphed from its humble beginnings into a spectacular event with over 37,000 attendees last year and speakers ranging from Barack Obama to John Cena. While it’s easy to characterize SXSW as a huge crowd of millennial start-up wannabes searching for the best taco in town, I find that SXSW is very useful for gauging the temperature of the interactive industry and for figuring out which trends might make it through the hype cycle and end up having a real impact on the industry. So what will there be to see in the arena of travel? Last year’s highlight saw Lyft CEO Logan Green entertain the crowd with his candid take on Uber, and his stories of how he still takes to the wheel as a Lyft driver every morning. Since major hotel chains started crafting unique brand identities for themselves, their visual and experience design has been key to differentiating them and attracting their desired demographics. There are a number of interesting sessions that will bring to the fore the importance of design in the travel and tourism experience. This theory extends to airports, where the design imperatives range from seamless pass-through right through to deflecting and defusing passenger frustration through interminable delays. A conversation between Kevin Kelley, president of behemoth experience design firm Delaware North, and Barbara Peterson of CondeNast Traveler will take us through the detail of Austin airport’s recent $20 million makeover. On a smaller scale, we’ll have the chance to see how the delightful Hotel Emma in San Antonio came to fuse cuisine, craft and culture into its unique ambiance from its “culinary concierge,” Hugh Daschbach. With the new administration still setting out its stall in the travel space, now is a good time to hear from some of those who are right at the coal-face of the regulatory space. Mark Cuban of Broadcast.com and Shark Tank fame will discuss how he has worked both with and against regulation to achieve disruption, particularly in the areas of travel and ticketing. Representatives from the U.S. Department of Transportation will be discussing what to do with the massive amounts of data that are likely to be produced as self-driving cars and smart cities proliferate over coming decades. On a lighter note, the TSA’s social media specialist, Bob Burns, will be on hand to explain how he managed to make the TSA’s Instagram account into Rolling Stone’s fourth-best account to follow. It wouldn’t be SXSW without at least a cursory nod to new digital technology. Virtual reality will be ubiquitous in the sector in 2017, with tourism authorities from Las Vegas to Val D’Isere helping remote viewers experience their sights. SXSW even has a dedicated conference track for VR, with 38 films showing how different industries are using the new medium. One session will feature panelists from National Geographic and Honda talking about how they are using VR as a new story-telling device. From another segment of new technology, the enormous growth of the e-sports world is becoming a significant travel business opportunity, with peak events attracting up to 100,000 viewers on-site. Greg O’Dell, the CEO of Events DC and responsible for public events in the capital, will be talking about how travel brands can align themselves with this new and booming interest group. 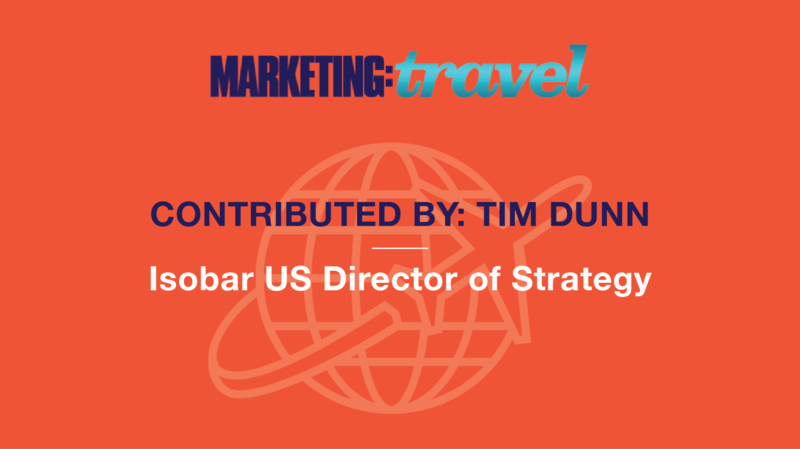 Of course, there are many hundreds of other sessions that have a bearing on the travel sector, so if you can navigate the crowded schedule, the event promises to be inspirational for any travel marketer.